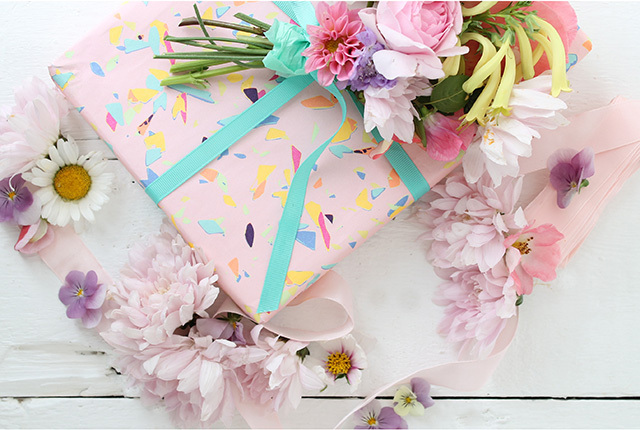 Like buses, gift wrapping occasions seem to come all at once. Luckily for me the latest flurry has happened in glorious summertime. 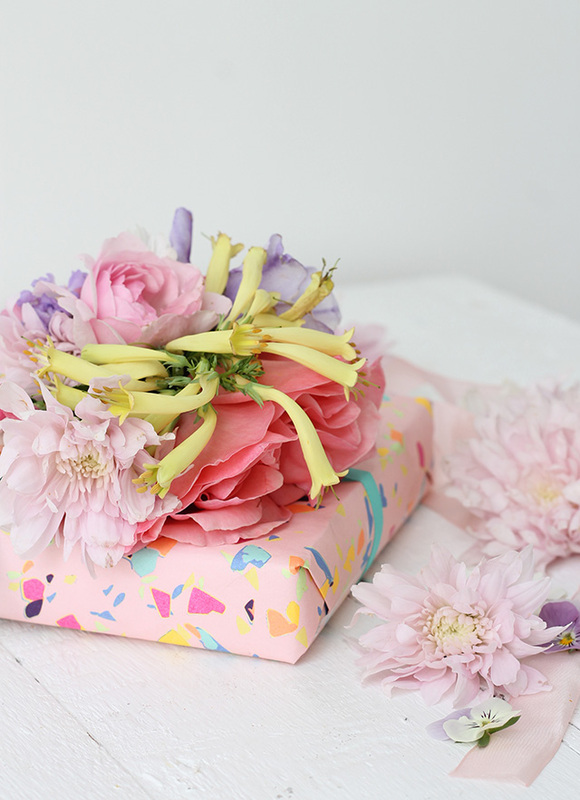 For this gift wrapping tutorial I wanted to use home grown garden flowers mixed with left over wrapping paper and ribbons. Since I’ve not been in work I’ve been really conscious of how much I’m spending on extra’s especially in the craft department. Over the years I’ve amassed quite a collection but it just sits in my craft room waiting for ‘best’. As my motto is – making the everyday beautiful – I’ve been using it up and really enjoying the feeling of having less. 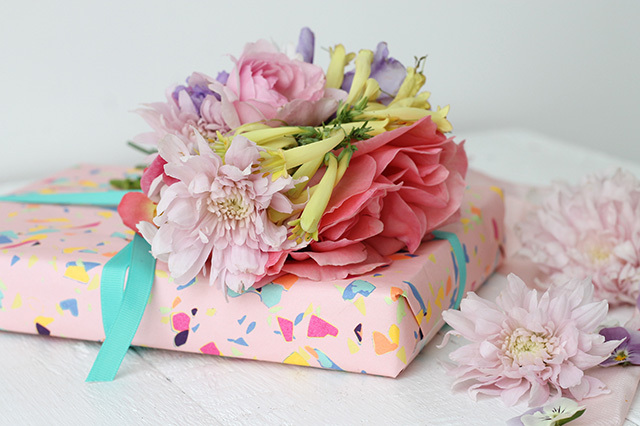 I wrote a fresh flower gift wrapping post a few years ago and to this day it remains one of my favourites. 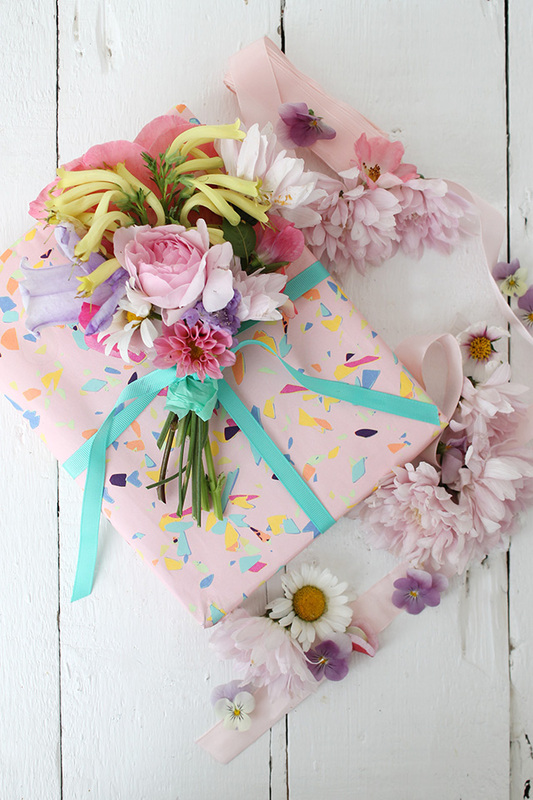 I wanted to revisit using left over wrapping paper and these gorgeous summer blooms. 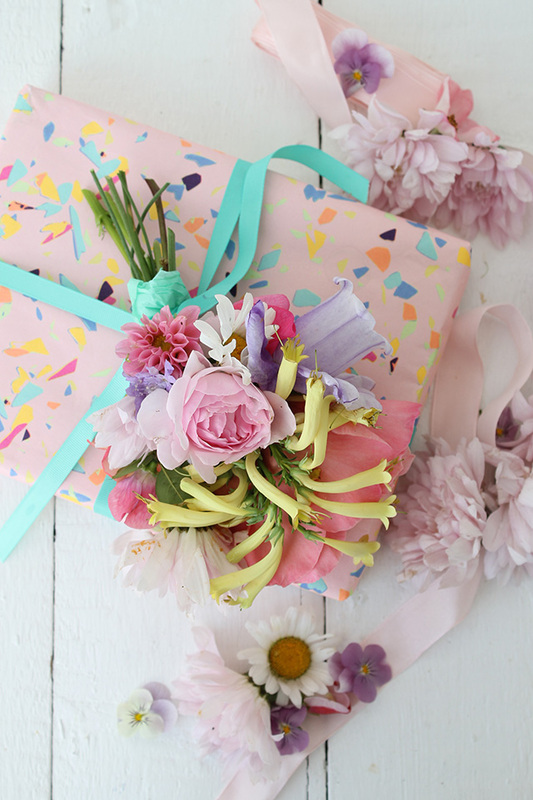 This type of wrapping might not travel too well but it is a beautiful way to share summer flowers. 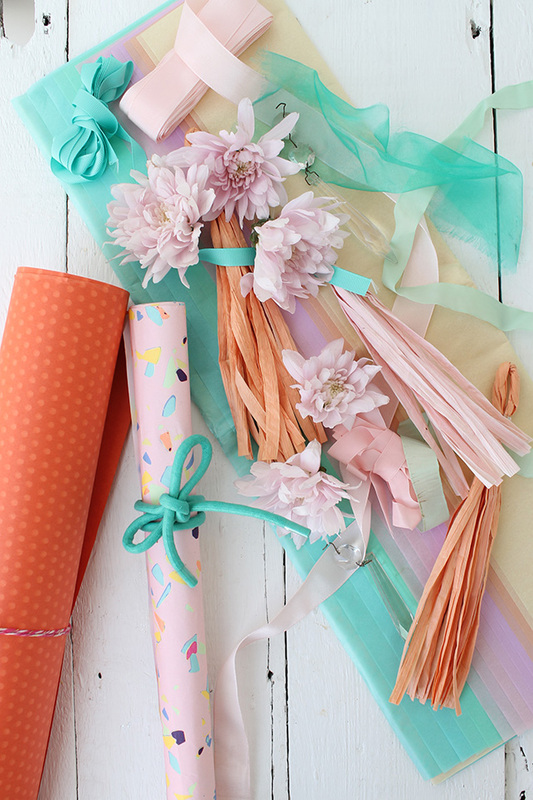 Materials – Wrapping paper (these odds are from Oliver Bonus and Selfridges), Tissue, Tassels, Ribbon and crystals all vintage. Step 1 – Wrap your present, a box shape works best. 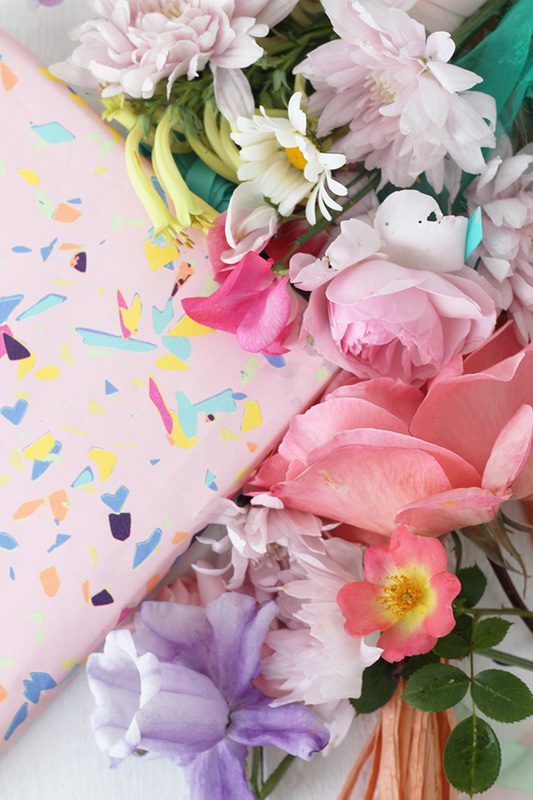 Gather your flowers, selecting colours that blend in with your wrapping paper. 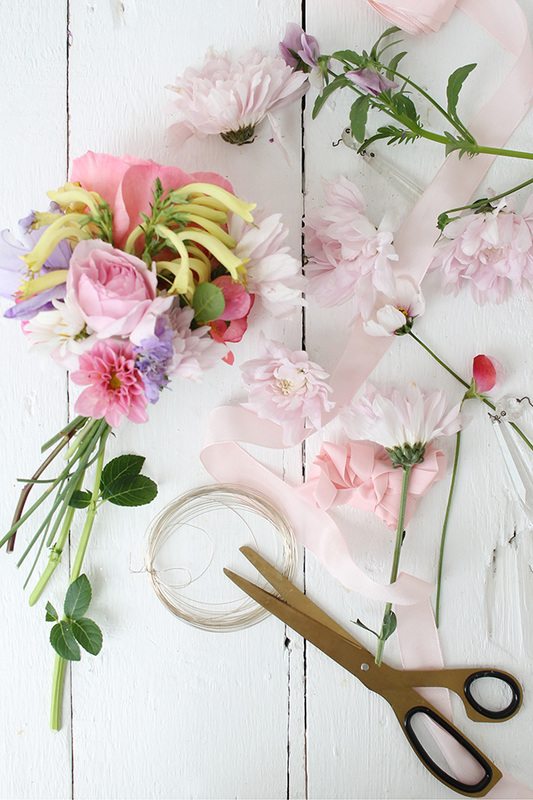 If you don’t have access to garden flowers then buy a few individual stems from a florist. Anything with a cottage garden feel will work, the aim is to create something really unique and one-off rather than a lot of the same flower. 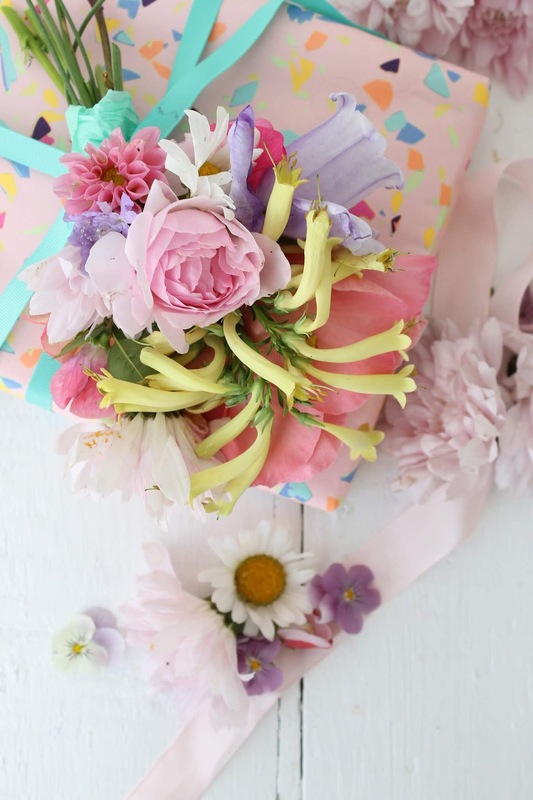 Step 2 – Create a little posy of flowers, starting with the largest flower and working down in size. Wrap with wire, string or ribbon to secure. Trim off any extra long stems, you want to keep about two inches of stem sticking out from the base of the flowers. Step 3 – Wrap a contrasting ribbon around the parcel securing in a double knot. 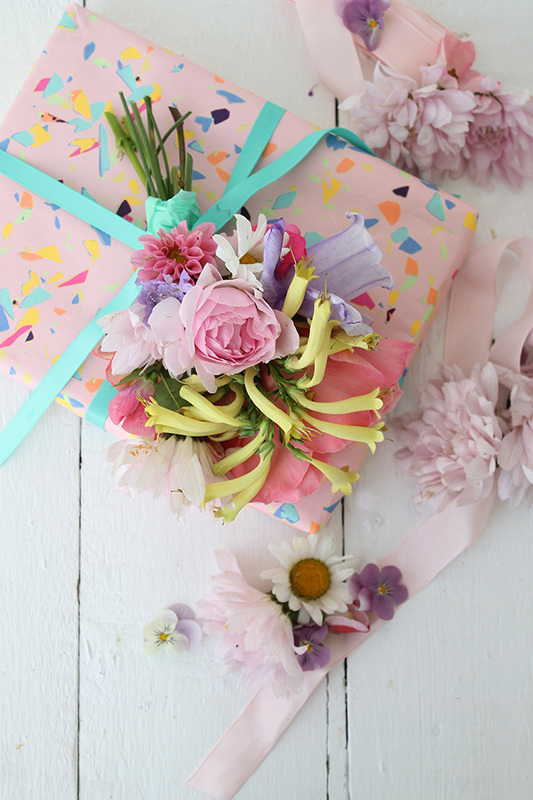 Place the flower posy in the centre and securely knot the ribbon again, you only need to do one knot as you’ll be tying a bow next. I wrapped a matching piece of tissue around the posy before I secured it to cover my wire. Now tie a bow and snip of any extra ribbon. Step 4 – Take 100 pictures and Instagram it of course 😉 !